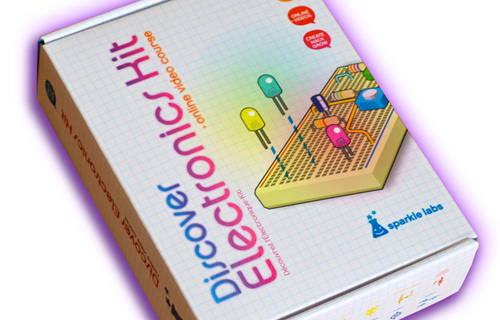 Our Discover Electronics Kit has been updated. We put in everyone's suggestions and many of our own improvements. The new manual is expanded and improved. It has a transparent breadboard and a simplified power supply.